Yep, you’ll see us out there. Out on the grass on the Hudson River Park Pier, in downward dog or feet straight up attempting headstands. Aria usually somersaulting over and laughing like crazy or climbing all over me when I get into a plank pose (or another asana where she can gain access.) It’s my favorite time of the day…late afternoon sunset yoga (kinda)… just the two of us. In honor of National Yoga Month, Aria has been doing yoga everywhere. Even retail. Check out the quick video below. And if you’re interested in getting your own OM on, now is a great time. 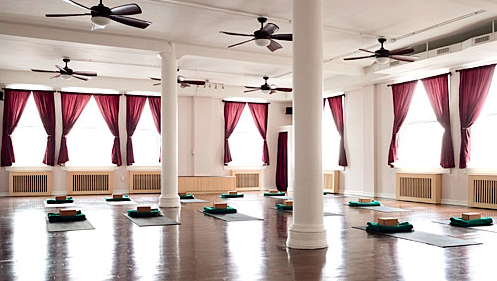 Learn about free yoga classes and events around the city HERE. 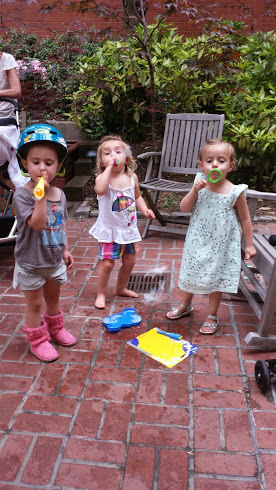 ps– Could someone please start a yoga studio with child care? Or better yet, maybe a studio where we could drop our little ones in a yoga play class while we do our own yoga in another studio? If some yoga studio out there wants to do it, I’ll even teach it (how bout it karma kids?). 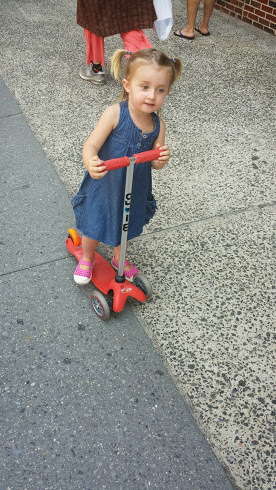 Much to my chagrin, I’ve yet to even find any NYC yoga studio with child care (boo). I’ve even debated joining Equinox again or the Y on 14th who both have a playroom/child care for kids (the Y is even free.) 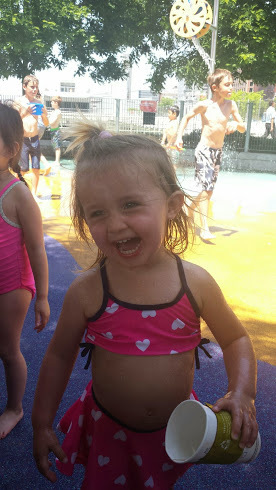 For now, Aria and I will continue to get our OM on all around town… and, of course, here.